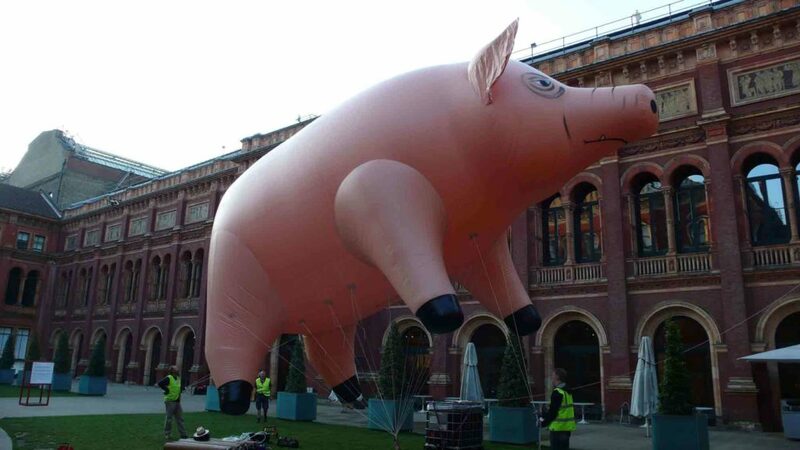 We got a call to ask if our giant inflatable Pink Floyd Pig could fly again. Of course, we said yes! We had made him to recreate the image designed for Pink Floyd’s album cover Animals. In 2011, the record company remastered the Animals album and several other Pink Floyd classics. 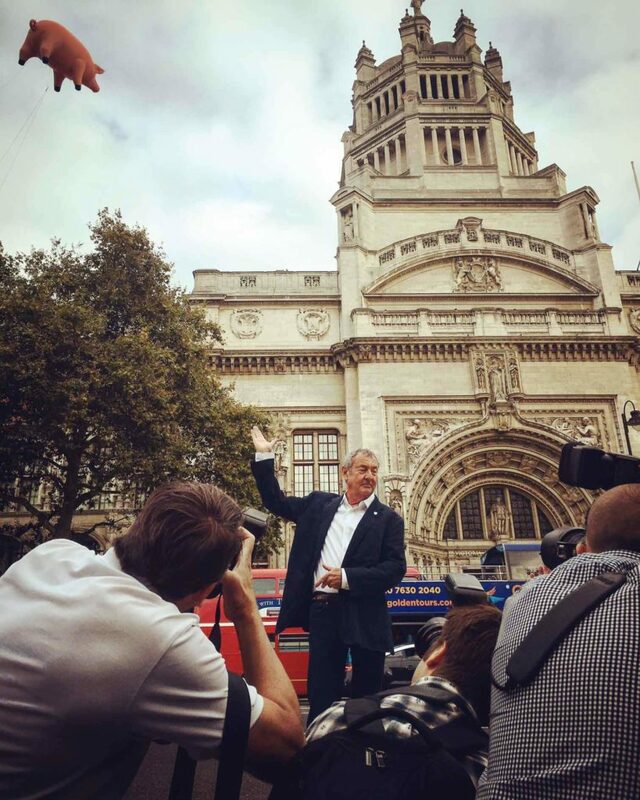 And at that time we flew the Pig over Battersea Power Station. It made such an impact that we still see pictures of the Pig appearing in the media! Obviously, he made a big impression on everyone. 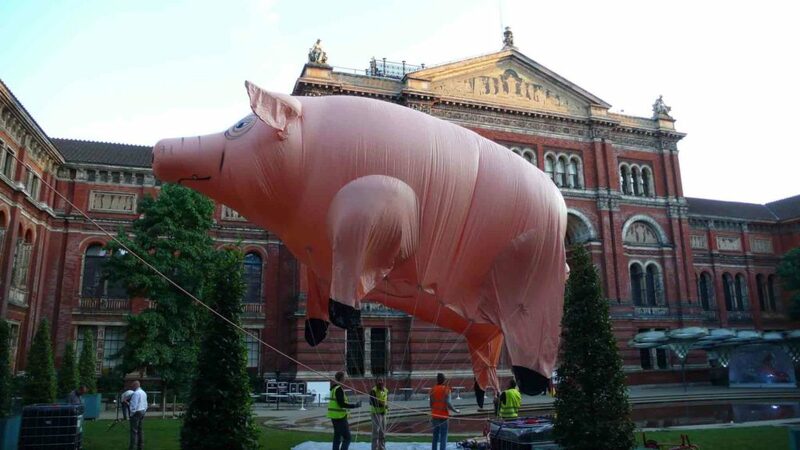 At the end of August 2016, we flew the giant pig again to promote a major retrospective exhibition of Pink Floyd at the V&A. The exhibition is at the museum in May to October 2017 but the organisers wanted to start the promotion in good time. It was very exciting to give him another outing. We had stored him safely so we unpacked him and checked him over in our workshop. Once we were sure he was in good condition, we were ready to take him out. He looked as good as ever. 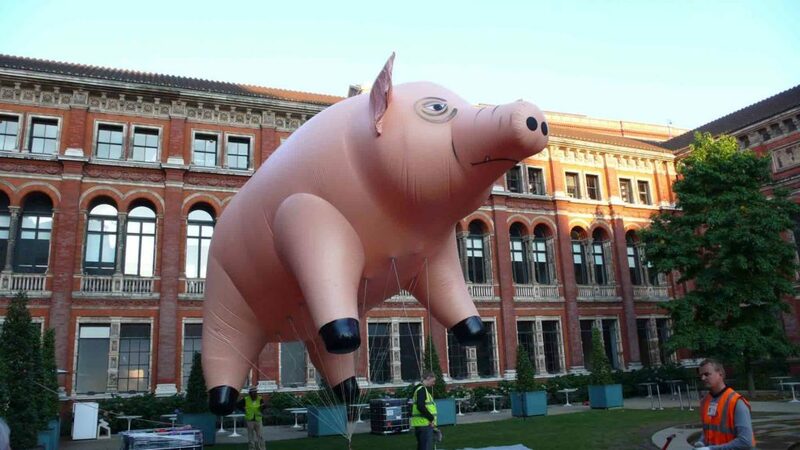 The Pink Floyd Exhibition, “Their Mortal Remains”, was promoted before the world’s press outside the main entrance to the V&A. 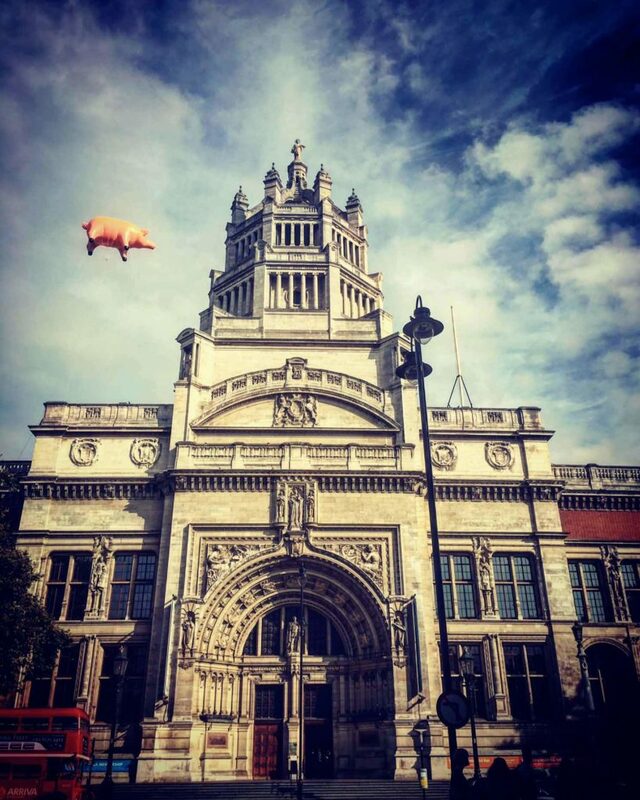 We were very proud to see the ABC inflatables pig floating above the Victoria and Albert Museum. Members of the band had their photos taken with the inflatable Pink Floyd pig behind them. As you can see Nick Mason is looking very relaxed! The photo opportunity started at 8.30 am so we had to be on site bright and early. We delivered him to the site, inflated him and got him up on the roof in good time. It takes a while to fill a giant inflatable pig the size of a London double decker bus! As you can see from a couple of the photos taken while we were inflating the pig with helium gas it was only just becoming light. A big inflatable like this takes a while to inflate but our team takes all these things in its stride. Thanks to our great team, everyone was in position on the roof in good time. 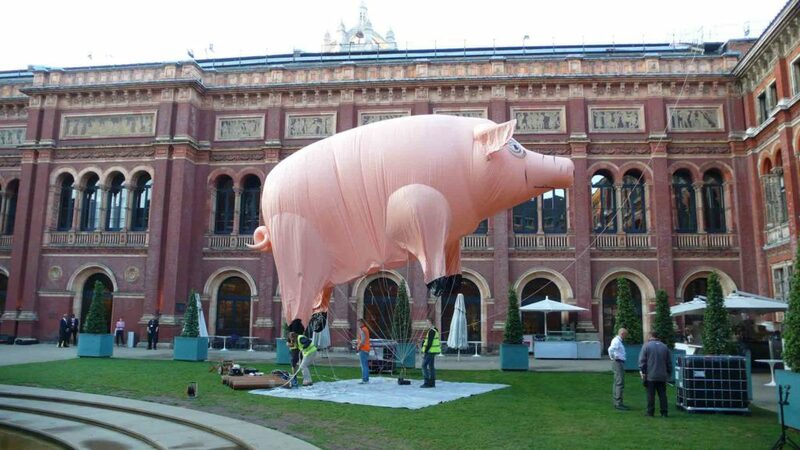 The media showed a lot of interest in the exhibition and our Pink Floyd pig. So it got plenty of coverage in the national and international press. All of us at ABC Inflatables enjoy being part of events where the promotion works perfectly. That’s why we make sure we never let our clients down. Give us a ring on 01295 278600 and let us make something suitably attention-grabbing for your publicity campaign. Check out our custom inflatables product page for inspiration.